The Cincinnati Reds landed three prospects on the ESPN Top 50 Prospect List (ESPN+ subscription needed) that was released on Wednesday. The prospects on the list from #51-100 were released on Tuesday and the Reds landed two more prospects on that portion of the list. Nick Senzel came in as the #6 overall prospect on the list. That’s up three spots from where he ranked on the list in 2018. Like everyone else, the write up questions where he will play in 2019. And mostly like everyone else, it says ultimately it won’t matter because he’s going to hit, and probably be a good defender wherever he winds up long term. After hitting .310/.378/.509 in Triple-A last season before a finger injury cost him the second half of the season, he’s ready to play in the Major Leagues right out of the gate this year. 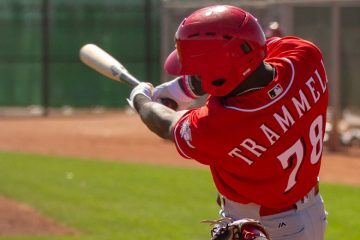 Six spots down the list is outfielder Taylor Trammell, coming in at #12 overall. That’s up 29 spots from his ranking of #41 in 2018. Keith Law, who authored the list, is one that believes his arm will limit him to left field. He also thinks it doesn’t matter because the power, speed, and defense will play well. Last year he spent his entire season in Daytona. The lefty hitter posted a .277/.375/.406 line in the pitcher friendly Florida State League in 461 plate appearances. He also added in 25 stolen bases during the year. The last Reds prospect to make the top 50 wasn’t very far down the list from Trammell. Right-handed pitcher Hunter Greene came in on the list at #16 overall. That’s up from his 2018 ranking of #22. His write up notes the improvements he made with his offspeed stuff during the year and how strong his non-April was where he had 71 strikeouts and just 13 walks in his final 58.2 innings with a 2.91 ERA before injuring his elbow. 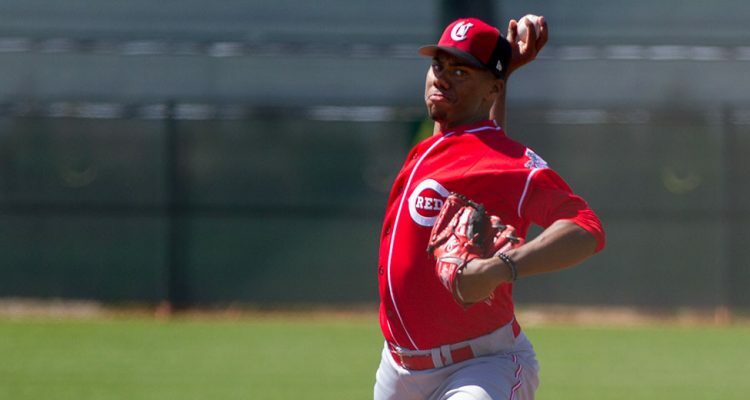 As has been noted here at RedsMinorLeagues.com, a source confirmed back in December that he was throwing without restrictions and preparing for spring training. Having three top 20 prospects in all of Minor League Baseball is a great showing for the Cincinnati Reds. Having two more guys on the second half of the Top 100 is even better. With all of the trading that organization has done, their farm is still very strong. They’ve got elite prospects, and still plenty of depth. The depth has taken a hit a little bit, losing Shed Long, Jeter Downs, Josiah Gray, and Tanner Rainey. But by-and-large, it’s still quite solid 1-25. Law noted that Greene’s elbow was a strain not a tear. You have maintained it to be a slight tear. I tend to put more faith in your information as Law is more a overview guy. Am I misreading the information? I was a big Shed Long fan and will root for his success as I am not of the belief that his future determines the success of the trade. The Reds are trying to be creative and are taking chances. All that said, the Reds dealt from a strength, so losing Shed is not a big deal besides the overall strength of their system. The fact that Greene’s fastball has no movement, I have to wonder why they have not coached him a bit on altering his grip. Perhaps they work on that at a later point? Law seemed adamant that the Reds leave Senzel at third, but failed to mention they have one of the top 4 3rd baseman already. 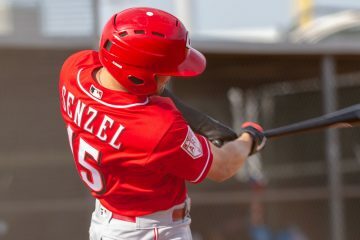 I almost feel like the Reds will play Senzel all over and they either trade or let Scooter’s depart as a FA and Senzel ends up at second. Have you given up trying to figure out how this plays out or do you have a belief? It does not seem as if CF is the Reds see him. Where do you see Tyler Stephenson’s ranking in the Top 100 this time next season? A strain is in fact a slight tear. 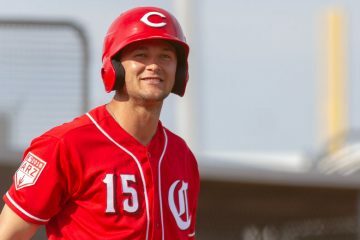 Out of the 4 prospects the Reds have lost, Josiah Gray is the one I think that they will end up missing the most in the long run. A very good arm, lot of talent, lot of upside. Somehow I feel it bites us back in 4 yrs! I don’t think you are misreading the information. I think the information presented was simply incorrect by Law. How do certain leagues get reputations for being “pitcher friendly” or “hitter friendly”? Do those reputations ever change? I would think that the strength of the players in each league would vary over the years, rather than continually be known for the same types of prospects. It has to do with field size and climate. Parks out west are generally at a higher elevation so balls travel better through the thin air. Many fields in the west are also on the small side and some were even built to take offensive advantage of wind patterns. As an example, the CF wall in Bakersfield was 354 feet from home (albeit with a tall wall). Parks in Florida are generally larger and at sea level. The average difference in OPS between the Cal and Florida leagues in high A, where talent would presume to be equal, is about 40 points (from Fangraphs). They can and do change at times, but only when new ballparks open. Some leagues, like the California League and Florida State League aren’t going to change much. They are more related to weather and elevation for how they play than ballparks themselves. Grade 1 – fibers are stretched, but not torn. Grade 2 – some fibers are torn but there is not complete disruption of the ligament. Grade 3 – complete disruption of the ligament causing instability of the joint. Three in the top 20 is impressive. Trammell all the way up to #12 seems high, but I hope Trammell plays up to it in 2019. His future is in LF. We’ll just have to wait and see how Greene’s elbow holds up. Greene at #16 also seems a tad high, but Law is elevating him while all the other top-100 and 101 lists have dropped him a little. This time next year, Senzel will be graduated from prospect level. Barring a trade, India and Santillan should be in the top-50. Tyler Stephenson and Jose Siri with good seasons should be automatic picks into the top-100. Vlad Gutierrez and Mariel Bautista might be able to join them with a good seasons. Sadly though, I expect Josiah Gray to be in the top-100 this time next year. However, that is what it is. Can’t complain about the trade with the Dodgers. Just didn’t like to see Josiah Gray as part of it. I hope that T. Stephenson and Vlad can make that jump into the top 100 with a good year this year too. Don’t forget our draft pick this year could also be a guy that could get into the top 100. So if we graduate only Senzel, that puts us with 5-6 guys with a strong chance of being top 100 again. Considering all that the Reds have done, that is very impressive.